Here are the iOS version statistics for January 14th 2014. 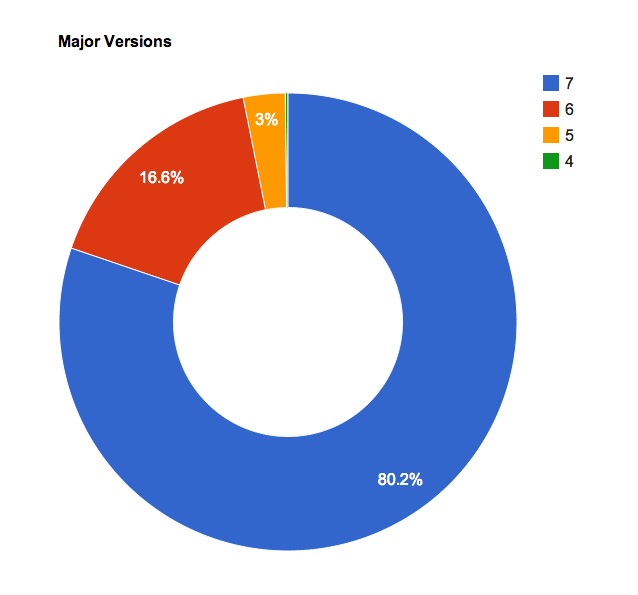 We are starting to track many minor versions now so we have also included a chart which shows only the major versions (7, 6, 5, and 4). 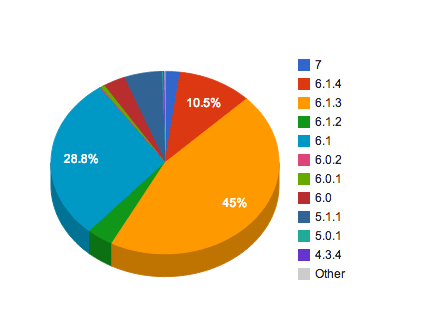 Here are the iOS version statistics for October 15th 2013. THIS POSITION HAS BEEN FILLED. Thank you to all applicants that applied. We are looking for an iOS developer for a 6 month contract with possibility for extension or full time employment. You will be working on a state of the art multi media app used by cable operators. – Design and development of new features for the mobile app for iOS. – Intimately familiar with Cocoa Touch libraries. The position will actually be based from your home but with the occasional meeting in and around Vancouver so you should be located in the lower mainland with occasional site visits in Seattle Washington. We will provide the necessary equipment as required. 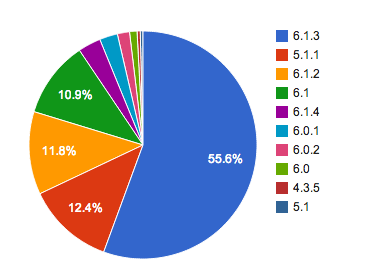 Here are the iOS version statistics for August 14th 2013. The poll was taken from July 14th 2013 to August 13th 2013. 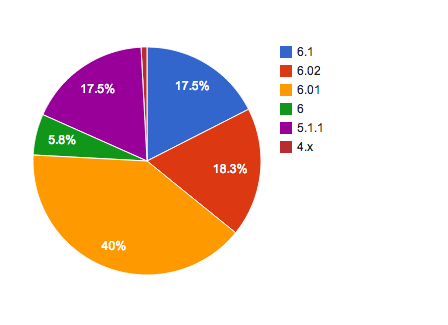 Here are the iOS version statistics for July 14th 2013. 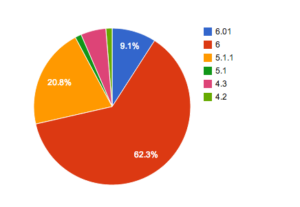 Here are the iOS version statistics for June 14th 2013. 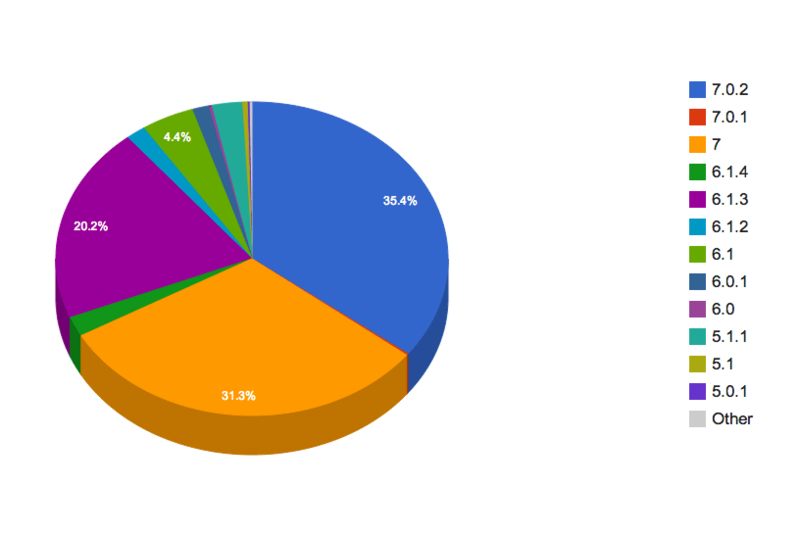 Here are the iOS version statistics for May 14th 2013. 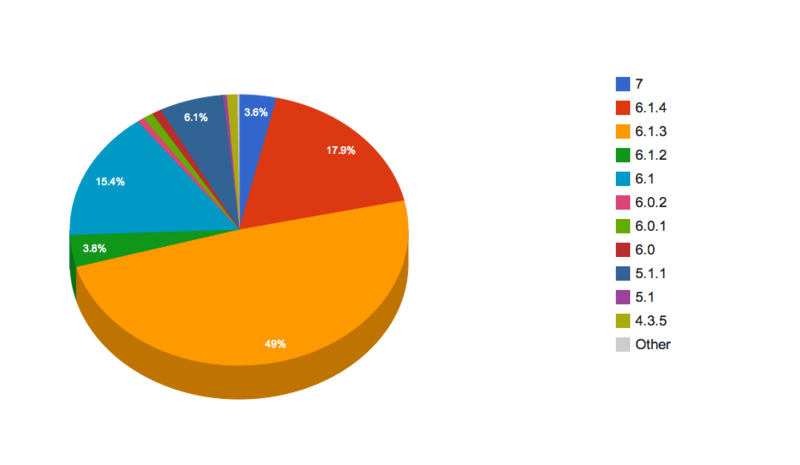 We have updated the way we are taking the poll and increased the sample pool so the data should be more accurate. Also this app has almost a 50/50 split between iPhone and iPad while the previous app was predominantly an iPhone app. The poll was taken from April 14th to May 13th. The stats have been updated here. 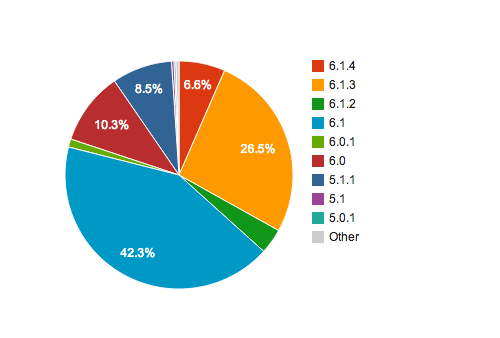 Here are the iOS version statistics for Feb 14th 2013. The poll was taken from Jan 14th to Feb 13th. UPDATE – New statistics are published here. 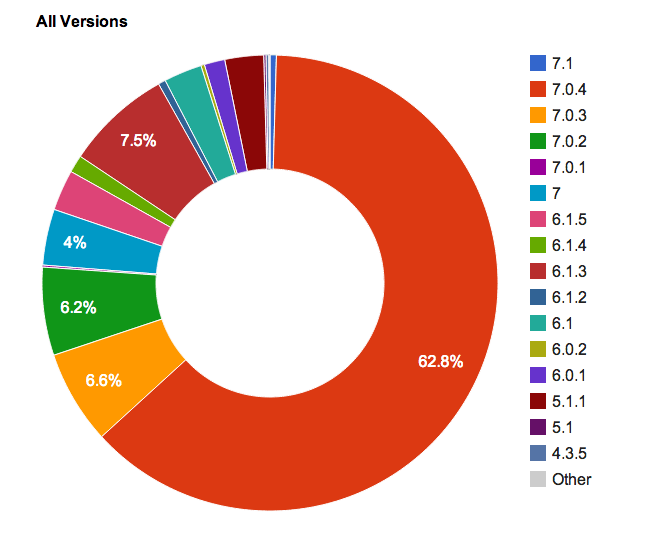 Here are the iOS version statistics for Jan 14th 2013. The poll was taken from Dec 14th to Jan 13th. 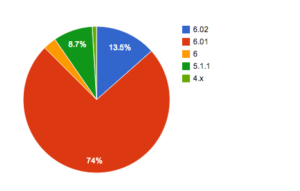 Here are the iOS version statistics for Nov 14th 2012. The poll was taken from Oct 14th to Nov 13th.